Aqua Regia is not an elite kind of alcohol, available only to the crowned heads. The king, who would dare to try this "drink", there would be only sympathize. So what is this liquid and why is it needed? Aqua Regia: what it is? Aqua Regia is a mixture of acids of high concentration, and therefore the strongest poison. 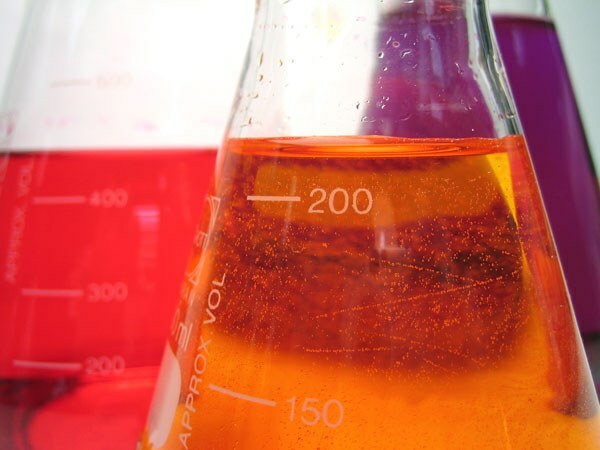 The effect of this compound on the human body is terrible to imagine - because Aqua Regia is able to dissolve metals! It usually consists of one part hydrochloric acid (HCl) and three parts nitric (HNO3). It is also possible to add sulfuric acid (H2SO4). Looks Aqua Regia as a yellow liquid, which radiates not pleasant smell of chlorine and oxides of nitrogen. Aqua Regia wonderful because it dissolves almost all metals, even such as gold and platinum, but none of the acids entering into its composition, the metals do not dissolve. Active substances, capable of dissolving metals, are created by mixture of acids, in the course of complex chemical reactions. However, there are metals that Aqua Regia can not handle: this is rhodium, iridium and tantalum. Not soluble in Aqua Regia also Teflon and some plastics. Aqua Regia was created thanks to the research of the alchemists, the tireless in search of the legendary "philosopher's stone", which was supposed to turn any substance into gold. They called gold the "king of metals", respectively, the liquid is able to dissolve is called the "king of waters" (in Latin, aqua regia). But the Russian alchemists have translated this name in the native language of some kind - in their mouths, "king of the waters" was the "Aqua Regia". Aqua Regia of the alchemists learned how to prepare before was opened hydrochloric acid. In those days, for the manufacture of this part used the distillation of a mixture of saltpetre, alum and copper sulfate, adding there is also ammonia. 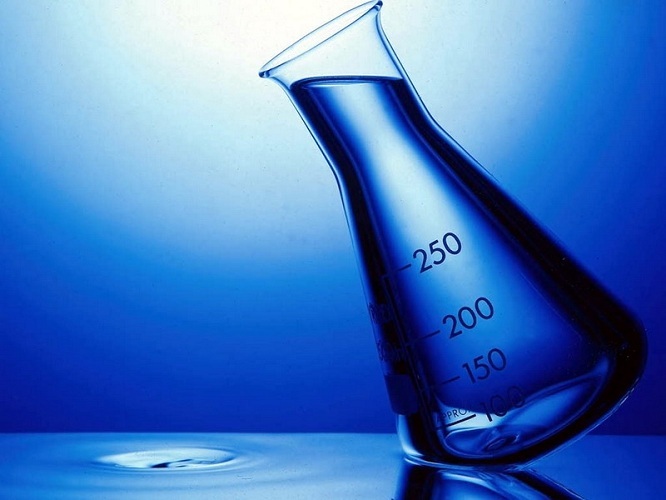 Today, when the philosophical stone, no one is looking, Aqua Regia is used as a reagent in chemical laboratories, for example, in the refining of gold and platinum. But most often, the Aqua Regia is needed chemists as a reagent for obtaining chloride of various metals. Fans use Aqua Regia to extract gold from the radio components. It is important to remember that the Royal vodka maintains its properties only in the presence of chlorine in it, which, if you leave a container of substance open, will quickly evaporate. During long-term storage of Aqua Regia chlorine gradually disappears, and the liquid ceases to dissolve the metals. Mix all ingredients and serve in glass with ice, but the gold of this composition, of course, dissolve will be gone. Aqua Regia is a mixture of hydrochloric and nitric acids. It has a strong oxidizing capacity, therefore, capable of dissolving even gold. Hence the name – once this acid corrodes the "king of metals - gold, then the name came up, too "Royal". To obtain the Aqua Regia you have to mix one part nitric acid and three parts hydrochloric acid. The proportions have to be precisely followed, otherwise the chemical reaction will be weak and short-lived. Pour reagents "by eye" is not necessary, because this way you will not achieve perfect precision. That is why the vial should be with graduations to accurately measure the right amount of acids. Since it is best to avoid the use of additional utensils for measuring desired quantities of liquid, it is better to add acid in one test tube. The more you pour acid from one container to another – the more chances to Shine. Accordingly, you must first pour into the tube the desired quantity of hydrochloric acid, as for the production of Aqua Regia it must be larger in volume than the nitrogen, and the mixing of dangerous chemicals, it is recommended to add a little more to avoid the spray of acid and to reduce the risk of chemical burns. Then add the desired amount of nitric acid. In no case do not rush, otherwise you can shed the acid, and to suffer. Pour it in a thin stream without splashing. Do not lean to the vial and do not try to look into it – any pair of acids is very dangerous, so they do not breathe and avoid contact with eyes. All the manipulations necessary to produce a maximum distance from the face. After you have poured in the vial of both the acid and gently stir the liquid with a glass rod to make the components mixed, not stratified (in any case do not shake the test tube is dangerous!). All Aqua Regia finish. At first it will be light yellow in color, as was originally hydrochloric acid, and within half an hour the color will change to dark orange. This means that you did everything correctly and in vitro, active chemical reaction. In an hour storage in nezaboravnom the Aqua Regia loses its distinctive properties. It is best to use it immediately after production. All dishes must be glass, because those acids corrode metal and plastic.